josh barkey: seven seconds of clickage to win! seven seconds of clickage to win! This is my crazy sister, Hannah. 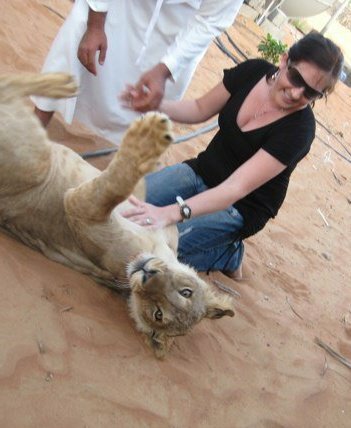 She lives in Al-Ain in the United Arab Emirates, and she's nuts. This is my crazy sister with her crazy man-friend Eric (aka "Epic"), who also lives in the UAE. He's made the top-twelve out of 10,000 people trying to win this mass-crazy contest with all sorts of nifty prizes.